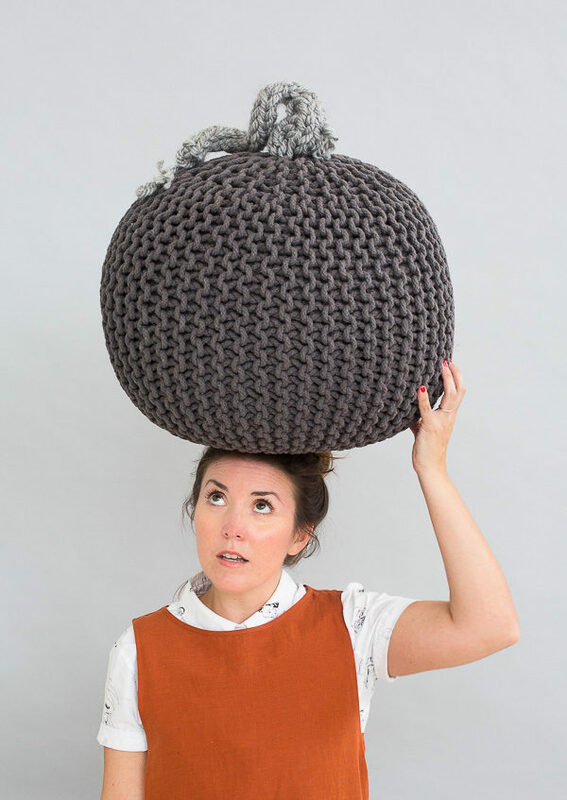 Want to make a giant knit pumpkin for fall / Halloween?! 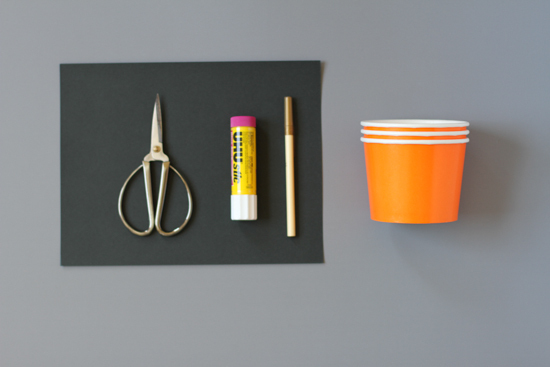 It’s A LOT easier than you think AND you can use your hands instead of knitting needles. Click through to find out how this giant pumpkin was made. 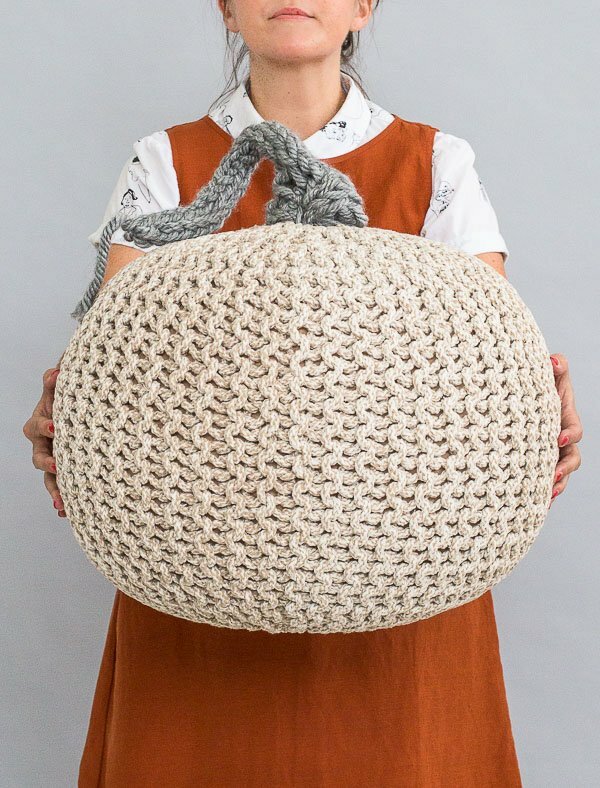 The only part of this giant pumpkin DIY that you have to knit to make one of your own is the stem! The base is actually a knit ottoman pouf that I bought from Amazon. Surprise! 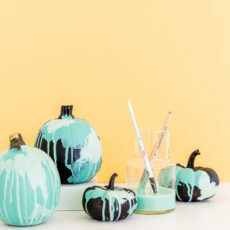 Which means this project will take all of ten minutes to recreate and you can remove the stem after Halloween and use it as a regular ottoman. Bam! 1. 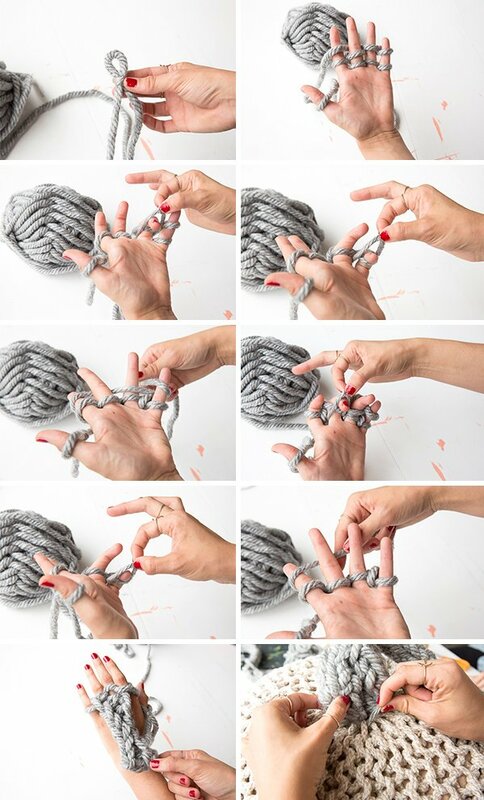 Create a slip knot and place it around the thumb of your non-dominant hand. 2. Weave the yarn around your fingers (omitting your thumb). Start by going behind your pointer finger and wrap the yard by weaving frontward and backward around each finger. Once you get to your pinky, wrap it and continue the alternating weaving until you get back to your pointer finger. 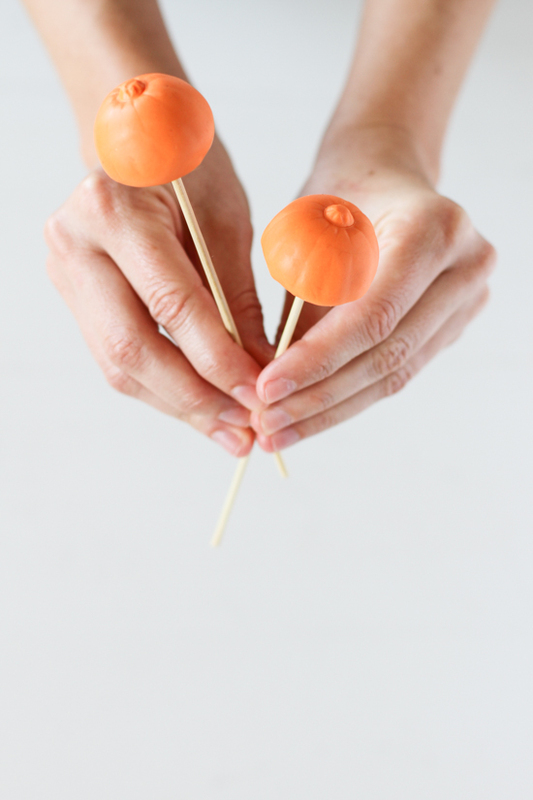 Do this twice so that you end up with two rows of loops around each finger. 3. 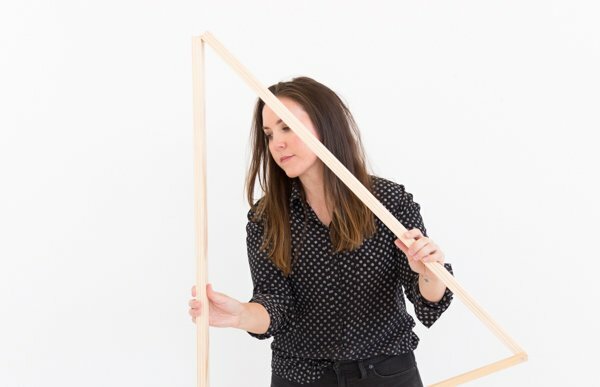 Starting with your pointer finger, pull the bottom loop over the top loop and over the top of your finger, guiding it to the back of your finger. Do this with each finger. 4. Now you will have just one loop one each left. Add another row of loops, by alternating weaving toward your pinky and back down to your pointer finger. 5. Continue step 3 and 4 until you have a weaving that is about 20 inches long. 6. To secure the weaving, remove the loops from your fingers and thread the remaining yarn through them and pull tight. So that’s it. What so you think? Would you make one of these? They’d look really cute in a kids room or just around the house as decoration for the season. 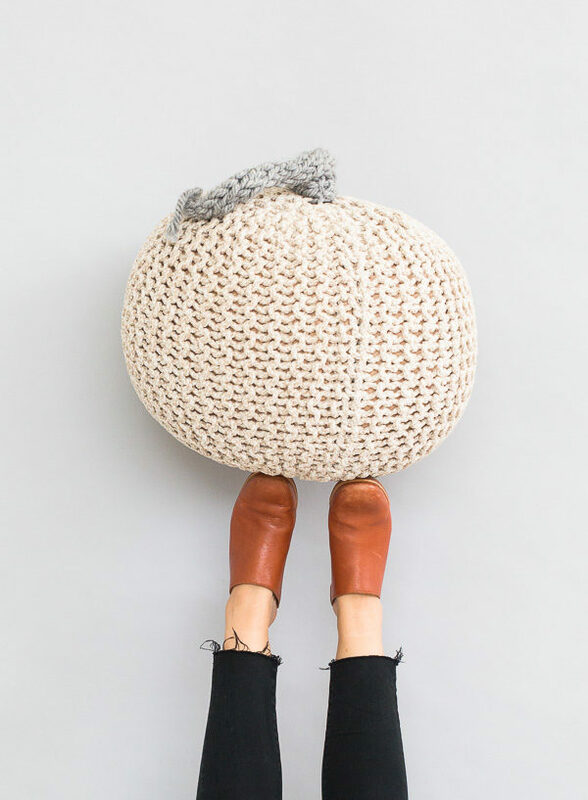 Are you a fan of this giant knit pumpkin DIY? Yay or nay?! Let me know. This looks so cool! I really thought I’d have to knit the whole pumpkin, but this way it’s even better! That pumpkin is so cute! Thanks Courtney. We’ve been really into knit and crochet stuff lately. This was a fun one to make. Really cute idea, I’m going to try and come up with some more ideas for this method of weaving, it’s so easy I have to find another use for it!! Thank you for the inspiration! Amazing! Halloween is coming! I am waiting for it! I wanna such a big pumpkin like yours! I like it!!!!!!! Thanks so much for sharing and inspiration! I’m new to knit and crochet lately. I will give this a try and really hope the project will turn out great for me. Wow! That’s such a good idea.